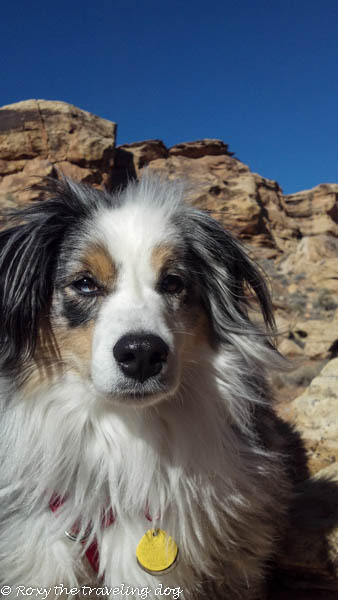 24 PAWS OF LOVE: Pet Bloggers Exchange-We 'met' Roxy the Traveling Dog. 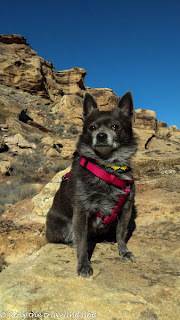 Pet Bloggers Exchange-We 'met' Roxy the Traveling Dog. Pamela from Something Wagging This Way Comes created and held a Pet Blogger Exchange that paired two bloggers together to share, encourage and get to know each other. I had the honor of meeting and getting to know Mary of Roxy the Traveling Dog. Mary, her husband and their two dogs Roxy and Torrey are traveling while they create and sell their artwork on the road. They sold it all and moved into their RV to live the life they had always dreamed. I loved getting to know about Mary and her dogs and their hiking adventures out in the mountains and deserts, but it was her artwork at Desert Raven Art that stole my breath away. 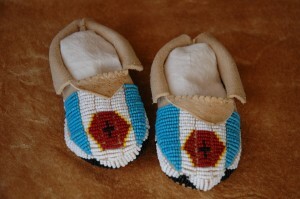 She does exquisite bead work on based on the Sioux and Northern Plain Native American tribes. 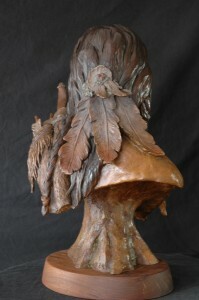 Her work is beautiful and intricate. 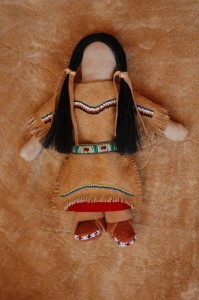 She makes and sells, dresses, moccasins, dolls, hand bags and carry pouches. 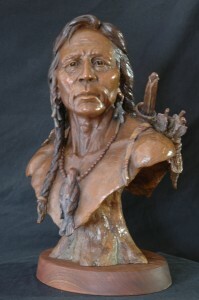 “Searching for days gone by” is a sculpture of a Native American who is longing for, and looking for the way of life he knew. The days when hunting the bison was a sacred right, and they were plentiful on the plains. Days when life was simpler, and everyone had respect for Mother Earth. He is prepared for the hunt with his bow and quiver full of arrows. To bring him extra guidance on his journey, he is wearing his own personal medicine bundle. And these are just photos of their gifted craft! Can you imagine being able to see them up close and personal? I am mesmerized by the Native American and I can almost see the breeze gently blow through his questions stirring in his solemn eyes. 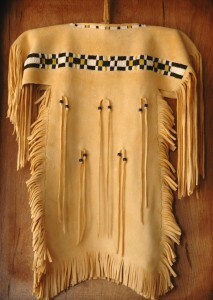 And I can almost feel that buckskin dress smooth as velvet against my skin. Such beautiful replicas made with time, love and dedication. And they are all available at Desert Raven Arts. 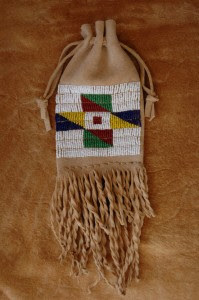 And I've left out what I think is the best part, Mary their own wedding clothes, from white buckskin that she beaded herself. Go HERE to see what I think is one of her most beautiful creations. One of the highlight's I enjoyed from Roxy the Traveling Dog if you the artsy type, is Artsy Fartsy Tuesday where Mary highlights other artist and their unique creations. 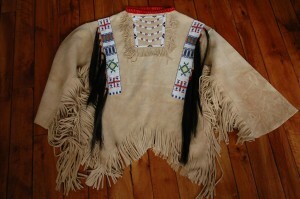 Showing a wide range of authentic crafted pieces that are for sale as well. I was so touched by Mary and Al's work. Their designs touched a longing in my soul that doesn't get met enough. I am so grateful to be paired with Mary and get to know a little bit more behind the creators of Roxy the Traveling Dog. And aren't Roxy and Torrey just adorable? Who wouldn't want to take them everywhere they go? We are very familiar with Mary and Al...and Roxy and Torrey! Great post! Great idea. Nice to meet someone new. Have a super Saturday. Really nice job highlighting Mary and Al's art and the lovely and unconventional life they lead with Roxy and Torrey. I'm so happy the universe paired you with someone whose art you enjoy and appreciate. What a nice fit. 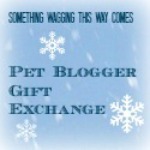 Thanks for joining in the Pet Blogger Gift Exchange! Thanks so much for all your kind words. It has been so wonderful getting to know you too, and I am glad you appreciate our art. We love creating for people who really feel it, such as yourself. Thanks for the introduction! I'll be looking them up. Wow I've heard of Roxy but never checked out their blog. Looks like I have lots of reading to do!! Great job on the Pet Blogger Gift Exchange. What a great post, and I agree, they are both incredibly talented artists! We know Mary, Roxy and Torrey too and are fans of their blog and Artsy Fartsy Tuesday! Their artwork is amazing! Wow, I didn't know them before but I'm heading over to visit. I wish that I'd known about the exchange... what a wonderful idea! Great idea!! Beautiful art work!